Poodles are man-made creatures. There were no packs of wild poodles roaming the African savannah, hunting antelope. Poodles were created by humans, through breeding, over thousands of years. They act and look very different from wolves because we bred them for appearance retrieving and, recently, appearance (edit: corrected, thanks to Simon Proctor's comment below). That's where we focused our energies, and it shows. Cows are also man-made creatures. Let me clarify: the cows we milk and eat are man-made creatures. We've created them through breeding, over ten thousand years. They look similar to wild cattle (now extinct) because we bred them for what's on the inside. We've made them smaller and more docile. We've made them produce more milk. We've made them produce more meat. 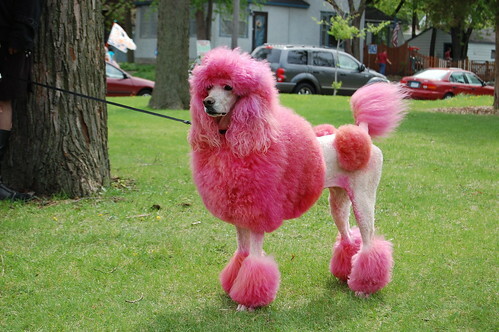 We've also altered their appearance, but not as much as we've done for poodles. There were no herds of black-and-white mottled cows roaming across Asia. 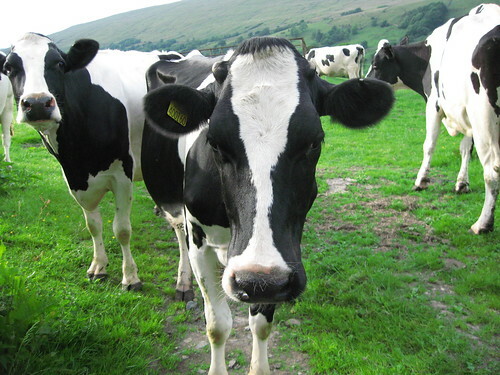 So that's my random thought for the day: cows are like poodles. They're man-made creatures.